If you are interested in a new crossover, the 2019 Subaru Outback is expected to be one of the top choices in its class. 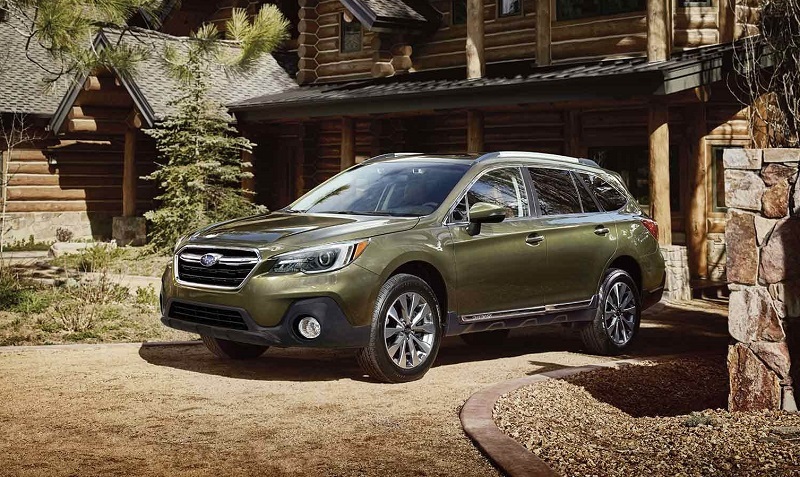 The Outback has always been noted for its spacious interior, reliability, and technology features, and the 2019 model comes equipped with the innovative features that continue to make it an excellent crossover. 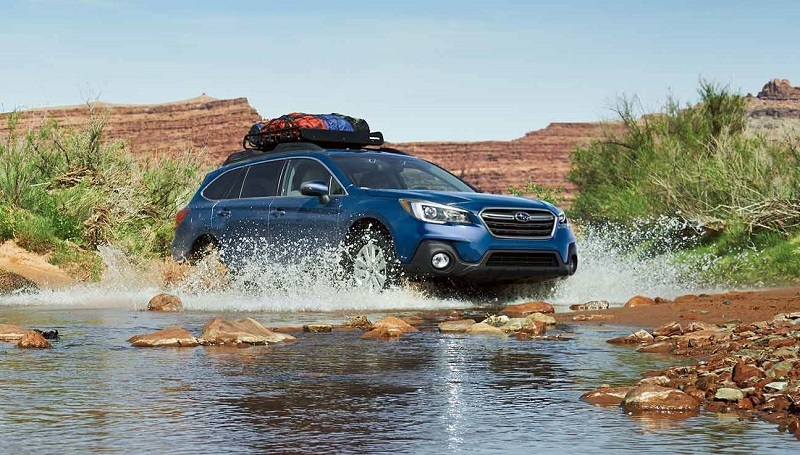 If you are interested in Denver area specials for the 2019 Subaru Outback near Denver Co, we invite you to visit us at Flatirons Subaru serving Boulder Denver Longmont Colorado. For now, you can learn more about the new Subaru Outback by reading our summary below. The 2019 Outback comes with an exterior color lineup that includes Wilderness Green Metallic, Crystal Black Silica, Crimson Red Pearl, Cinnamon Brown Pearl, Ice Silver Metallic, Magnetite Grey Metallic, Abyss Blue Pearl, Tungsten Metallic, and Crystal White Pearl. The exterior's headlights will come with an updated shape, and the alloy wheels will also come with a new design pattern. There is also LED Steering Responsive Headlights that improve visibility by tracking the direction the crossover is turning. The optional High Beam Assist feature can automatically change the headlights from low to high settings if it detects a vehicle approaching. This is available on the Touring and Limited trims. There is also an available power rear gate that can be easily opened and closed with the button on your key fob, or the gate can be opened or closed with the dashboard controls. In addition, the opening height can also be modified with there is there is less clearance available. The power lift gate is standard on the Limited and Touring trim, and it is optional on the Premium trim. To test drive the 2019 Subaru Outback, visit us at Flatirons serving Boulder Denver Longmont Colorado. Depending on the trim you choose, the interior upholstery is offered in Slate Black Cloth, Slate Black Leather, Warm Ivory Cloth, Warm Ivory Leather, Java Brown Leather, Titanium Grey Cloth, and Titanium Grey Leather. The spacious interior includes a premium audio sound system, SUBARU STARLINK Multimedia, a power rear gate, power seats with memory, and a 60/40 split-folding rear setback. The interior provides you with up to 108.1 cubic feet of passenger room for ample comfort. The aerodynamic side mirrors and noise-reducing laminated front side glass significantly reduces outside noise for a quiet cabin. With the STARLINK Multimedia system, you have access to Android Auto, Apple CarPlay, and Pandora. The infotainment system also offers wireless pairing as well as hands-free smartphone capability. The STARLINK infotainment system also comes with STARLINK Safety and Security. This feature includes Automatic Collision Notification that alerts first responders in the instance an airbag is deployed. 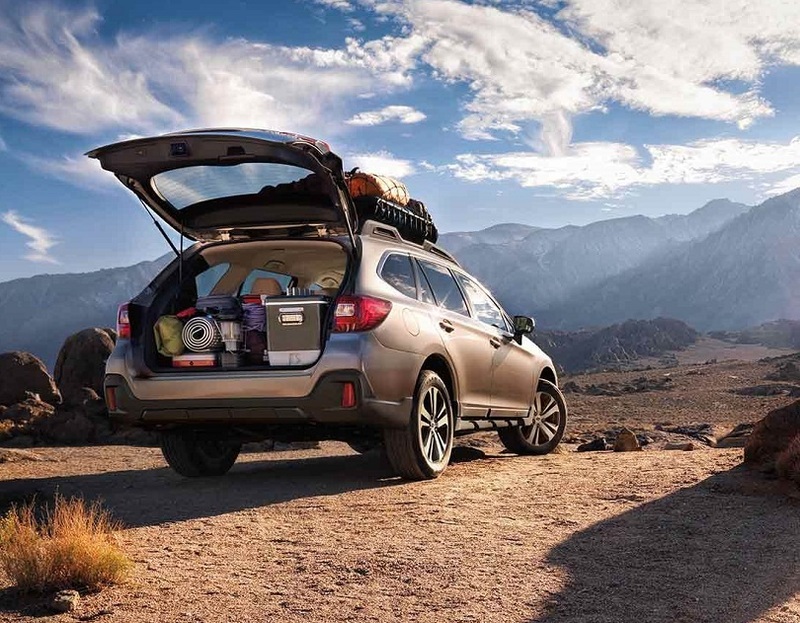 In addition, the STARLINK Safety and Security feature also comes with Enhanced Roadside Assi To learn more about the 2019 Subaru Outback near Denver CO, let one of our friendly representatives at Flatirons help you. The STARLINK Safety and Security features also comes with Stolen Vehicle Recovery as well as Remote Services. It is offered on the Premium, Limited, and Touring trims. There is also a built-in, voice-activated TomTom navigation that is optional. A 6.5- or 8-inch vibrant touchscreen is also available with the new Outback. The Subaru Outback is unlike most other SUV crossovers because it comes with standard all-wheel drive on every trim. This feature provides drivers with superior traction on any terrain. When you are on off-road excursions or on snowy roads, the X-Mode button will adjust traction and hill-decent control. If you want to know where you can buy a 2019 Subaru Outback near Denver CO, contact our dealership at Flatirons. We are an authorized Subaru dealership near Denver CO that is ready to get you behind the wheel of this well-rounded crossover. The standard engine that comes with the 2019 Outback is a 2.5-liter flat-4 underwood engine that produces 175 horsepower with 174 pound-feet of torque. A standard continuously variable transmission (CVT) is offered with the Subaru Outback. The other engine that comes with the 2019 model includes a 3.6-liter flat-6 engine that produces 256 horsepower with 247 pounds-feet of torque. Visit us at Flatirons near Denver CO to learn more about the powertrain features that are offered with the 2019 Outback. The crossover has received several excellent reviews for safety, which includes the most innovative avoidance technology. For the 2019 model, every trim will come with safety features that include adaptive cruise control, automatic emergency braking, active lane control, seven airbags, and anti-lock brakes. If you decide to go with the Limited, Touring, and Premium, you can choose available blind-spot monitors. In addition, all trims offer superior outward vision because of the thin roof pillars and low belt line. When it comes to crash tests, the 2019 model received five overall stars from the NHTSA, and it was a Top Safety Pick+ by the IIHS. 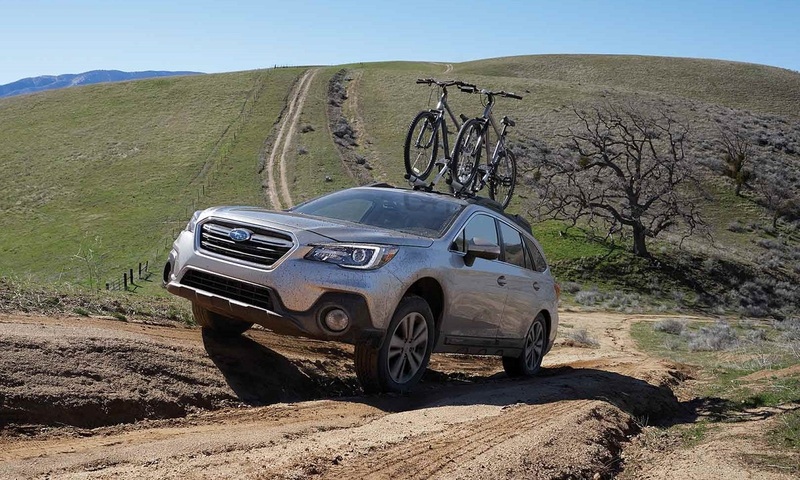 Although there are many crossovers on the market, the 2019 Subaru Outback is an excellent choice among crossovers. If you are interested in Denver area specials for the 2019 Outback, get in touch with us at Flatirons Subaru. We are an authorized Subaru dealership near Denver CO and serving Boulder Denver Longmont Colorado residents. At Flatirons Subaru, we offer Denver area specials that will help you get you in the vehicle you that meets your needs.